We’re pleased to introduce Brilliant Distinctions rewards to all of our clients at The Plastic Surgery Clinic. 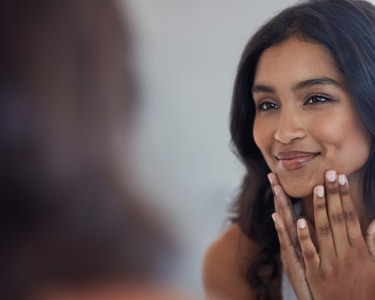 This exclusive loyalty program allows you earn points by purchasing eligible Allergan products including Botox Cosmetic, Juvéderm, and Latisse. Each time you undergo one of these treatments or fill one of these prescriptions, you’ll earn points that will enable you to save when you purchase them again in the future. Earn rewards points, save money. It’s that simple! How do I enroll in the Brilliant Distinctions loyalty program? You can register for the program on your own by signing up on this page, or you can request that we take care of enrolling you in the program during your next visit with us. As soon as you’ve registered, you’re eligible for savings. You can even download the official Brilliant Distinctions app to your smartphone to easily manage your points and rewards. What do I need to do to start earning points? All you need to do is register for the program. Then when you schedule your next appointment with us and want to purchase Botox, Juvéderm, or Latisse, let us know that you’re a Brilliant Distinctions member and we’ll make sure your points are added to your account. Your points should automatically be deposited within 24 hours of your treatment or purchase. 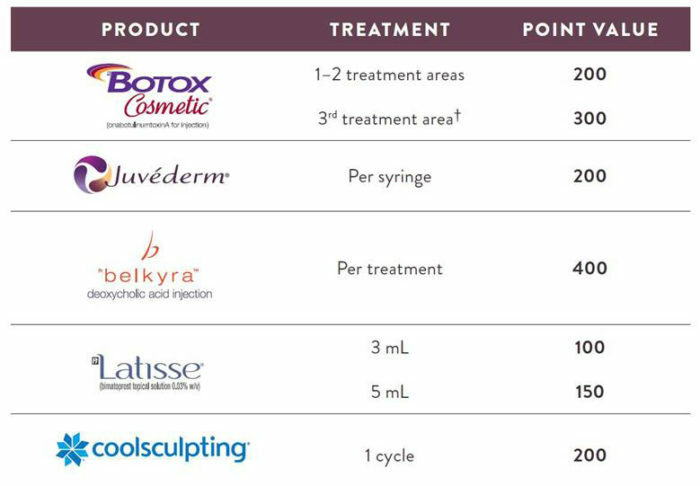 The points you earn will allow you to print out coupons for your desired treatment. When you decide you’d like to redeem your savings, before you come in for your appointment with us, login the Brilliant Distinctions website and select the Redeem Points section. You’ll be able to view your points balance and the site will prompt you to choose the number you’d like to use. Once you’ve selected the amount you’d like for your coupon, select the Create Coupon option and print out your voucher. You can also use the Brilliant Distinctions app to generate your coupon if you’d prefer not to print it out. Please note that Brilliant Distinction does put an expiry date on coupons and you will be required to use yours within a certain number of days after generating it. In order to make sure your coupon is not unnecessarily voided, you may wish to wait until the day of your appointment before creating your coupon or to check the fine print for the expiry date. Enrol in the Brilliant Distinctions loyalty program today and get the most out of every single treatment.